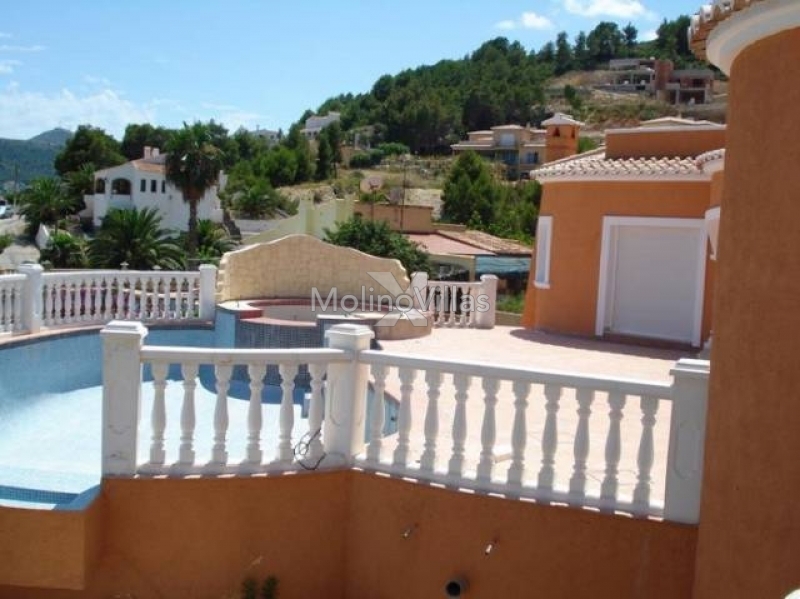 Detached family Villa For Sale with sea and country views in Javea, Costa Blanca North. Southeast facing with a spacious living room and separate dining room. Fully fitted open plan kitchen, with quality units and granite worktops, large entrance hall, spacious covered naya with access to the pool terraces. 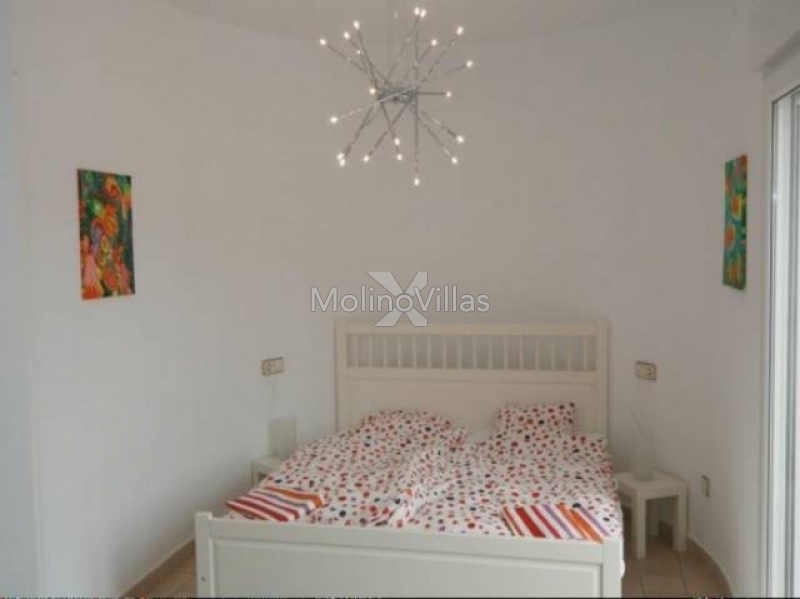 Two bedrooms (one en-suite) downstairs, plus large circular bedroom upstairs with dressing room, en-suite and private sun terrace. Underfloor central heating, double glazing, water deposit, 10 x 5m2 infinity swimming pool overlooking views and terraces. 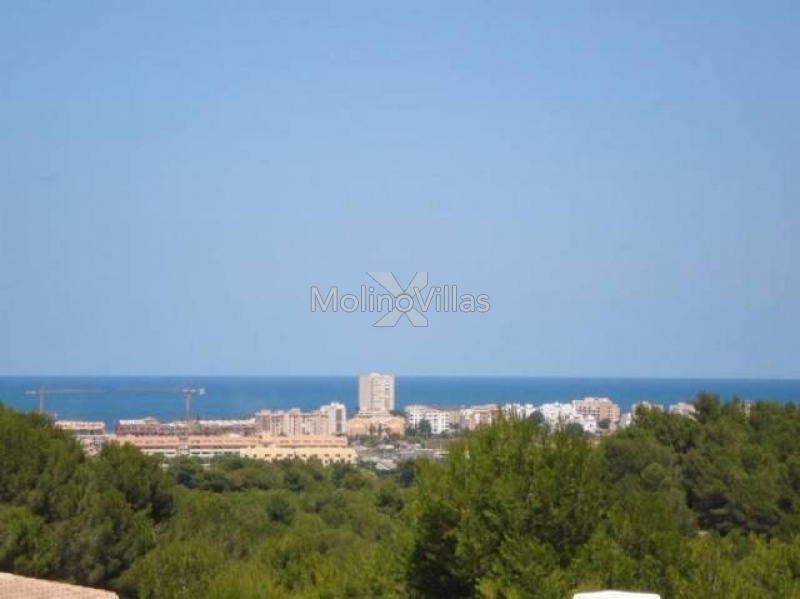 1,000m2 plot with off road parking and 176 m2 build. 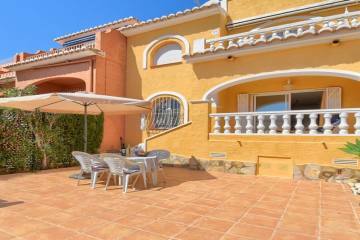 Ideal family home for all year round living or rental investment property. 3Km to the Arenal beach.